Enjoy full-day walking tour in Tokyo with an experienced guide. In the morning, you visit the two popular sightseeing spots in Tokyo today, Sensoji Temple and Hamarikyu Garden. The temple was founded in the 7th century and has been always active with visitors. The garden used to be the Tokugawa shoguns' seaside villa and you can enjoy a river cruise from Asakusa to the garden for about 40 minutes. 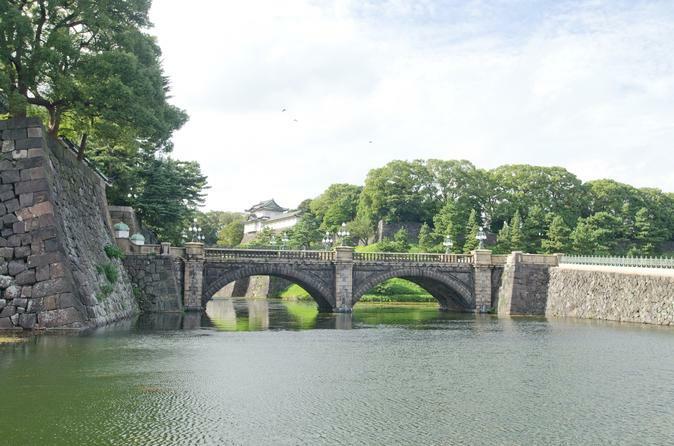 After lunch in Tsukiji Outer Market, we visit Imperial Palace Outer Garden where is a representative beautiful scenery in downtown Tokyo. Meiji-jingu is Tokyo's grandest Shinto shrine dedicated to the Emperor Meiji and Empress Shoken in the early 20th century. We walk through Omotesando Avenue lined with brand shops and trees and visit the shrine.